"This K̓awat̓si design is comprised of stylized ovoids of my four most inspirational artists who have influenced my work to guide it to what it has become today. The top ovoid design comes from my great-great-grandfather, Chief T̓łaḵwudłas Ned Hiłamas Harris, the prime artist of the 'Na̱mg̱is or “Nimpkish Valley Tribe”. 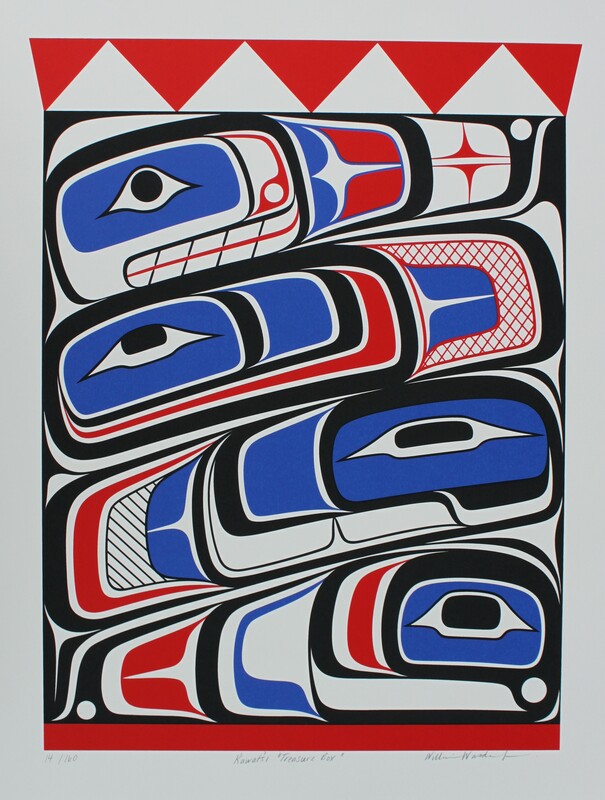 The second design from the top is rendered in the style of the late great A̱wa'etła̱la “Knight Inlet Tribe” Chief X̱ix̱aniyus Bob Harris—maternal grandfather of Chief Henry Speck. Ned and Bob were related and their styles similar so, in the process of giving our people English last names, these Harris families chose to take the same last name. The third ovoid down, is the work of the great Hiłdzakw artist Dukwa'esila Captain Carpenter. The foundation and base ovoid design is that of my late teacher 'Na̱mg̱is Chief Pa̱l'nakwa̱lagi̱lis Wakas Douglas Cranmer. 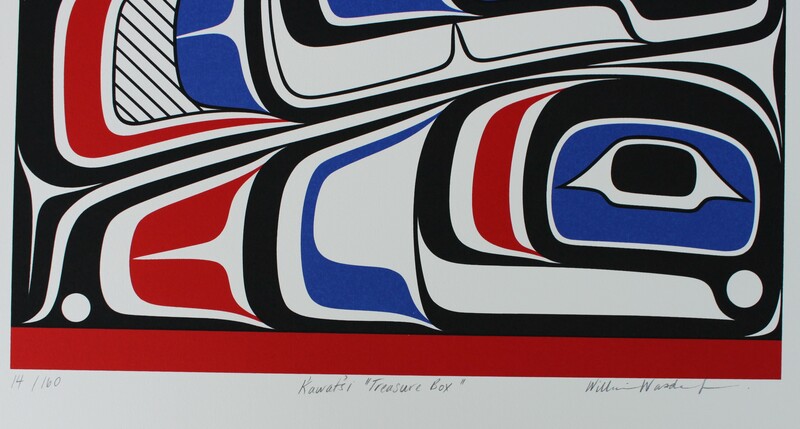 This limited edition silkscreen print titled "Kawatsi" by William Wasden Jr. was hand produced by the screen printing process. It is the only limited edition printing of this design. The artist has inspected and signed each copy in the edition. All trial copies of this edition have been destroyed and the printing stencils obliterated.